Rose Hill School has started the new school term by welcoming some new members of staff to its senior management team. Paul Cawley-Wakefield (left) and James Skuse (right) have joined Peter Platts-Martin (centre) and the team at Rose Hill School in Alderley, Wotton-under-Edge. The independent preparatory day and boarding school for children aged 2 1/2 - 13 at Alderley near Wotton-under-Edge has appointed two Deputy Head Teachers. Paul Cawley-Wakefield joins from Twyford Preparatory School near Winchester as Deputy Head with responsibility for Academic Studies. Paul has 18 years experience working as Senior Master and Deputy Head within two well-respected prep schools and has acted as a mentor to Winchester scholars. He brings a wealth of teaching experience in English, Drama, History, Maths, Latin, Religious Studies and Sport. James Skuse joins Rose Hill as Deputy Head of Pastoral Care, and Director of Music. James has 10 years experience of working in preparatory school education at Chafyn Grove School in Salisbury where he built an impressive reputation as a Director of Music. Alongside his musical and teaching credentials he has a keen interest in sport. Other senior level appointments at the school this year include Mr Gareth Davies who joins as Senior Master and Head of Maths, and a new Head of Boarding Mr Toby Hime whom, with his wife Helen, will act as Houseparents to the pupils who board. 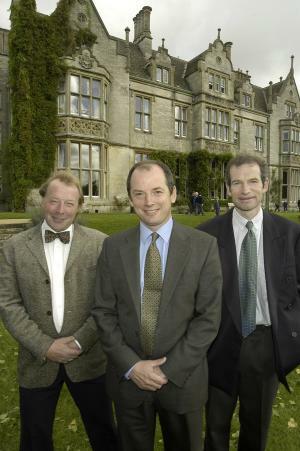 Headmaster Peter Platts-Martin is absolutely delighted with the new appointments. "Rose Hill School is a smaller, friendly school which prides itself on the levels of individual care and attention we offer our pupils. We have been seeking the highest calibre of well qualified and proven male and female teaching staff to join us and take on key roles in guiding the school to future success. "We have a superb team now in place to help us deliver our aims of giving our pupils an excellent foundation for life and inspiring them to become the very best that they can be."